Landscape Maintenance and Service: Our services are guaranteed! If a plant should deteriorate, it will be replaced quickly at no additional charge. Our experienced and friendly horticulture technicians have all the tools and knowledge to keep your plants looking beautiful. Keeping your plants green and healthy is as important as adding plants in the first place. Our experienced and friendly horticulture technicians have all the tools and knowledge to maintain your plants and keep them looking a healthy and lush as the day they were installed. With our indoor plant maintenance services, your plants will be trimmed, watered, rotated, cleaned, polished and organic nutrients are added as needed. Our services are guaranteed. Should your plant reach the end of its indoor life cycle or start to deteriorate it will be replaced quickly at no additional charge with our full maintenance or leasing services. On a regular schedule your plants will be cleaned, polished, and trimmed. Keeping living plants looking beautiful all the time is both a science and an art form. Our highly trained and uniformed plant technicians visit your business or residence regularly to provide a range of indoor plant maintenance services to always ensure a continued greenhouse fresh look. Horticultural maintenance can seem deceptively simple, but it requires years of experience to do well. The bottom line is that plant maintenance keeps your plants look fantastic! Our plant techs are not just plant waterers or leaf polishers, they are problem solvers and problem preventers. They care for your indoor tropical plants by providing services such as – repotting, fertilizing, rotating, changing moss, treating for and preventing pests and disease, watering, trimming, shaping, pruning and reporting plants that require replacement. Create a unique, balanced, effective interior plant design. 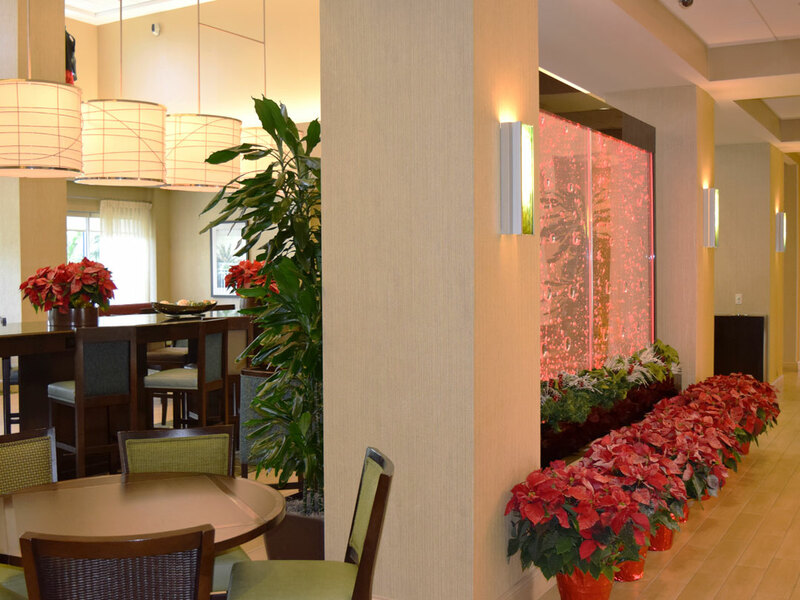 Working with property managers, interior designers, architects, office managers and residential clients, we create custom designed plantscapes. Anything from a tropical look to an architectural design to anything in between.